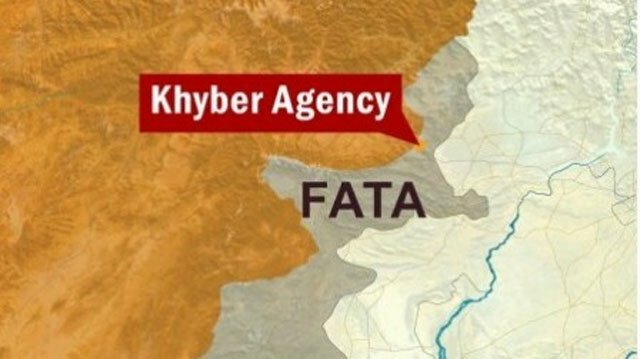 KOHAT: Prime Minister Shahid Khaqan Abbasi on Saturday said that the merger of the Federally Administered Tribal Areas (FATA) with Khyber Pakhtunkhwa is not faced with any opposition. “Everyone wants FATA to become a part of Pakistan,” Abbasi stressed. “FATA has the support of the National Assembly, Senate, and the public and the Pakistan Muslim League – Nawaz (PML-N) will resolve this issue,” reiterated the premier. “Efforts are being made to politicise the issue but PML-N has always put Pakistan first and tried to unite the people,” he said while addressing a public convention in Kohat. “It should be understood that we are going ahead and trying to abolish a hundred-years-old system,” added Abbasi. Discussing the terrorist attack on Army Public School in Peshawar, the premier said the country’s security situation has significantly improved ever since. “The mosques are safe, the entire country is safe today,” the prime minister said, adding that the ruling party has continued to serve the nation by ending the electricity and gas crisis. The prime minister also said that PML-N president Nawaz Sharif fulfilled his promises and the ruling party is the only party that has delivered its promises. He continued to say that his party will participate in elections on the basis of its performance and the people will vote for the rightful candidate. The prime minister was in Kohat for the ground-breaking ceremony of the dualization of the 128-km Sarai Gambila-Kohat Road and 73-km Pindigheb-Kohat road. Previous ArticleWe Rose Up And Will Shine Forever!